In honor of the new Terminator movie, the second coolest "Kyle" of all time. hahaha! 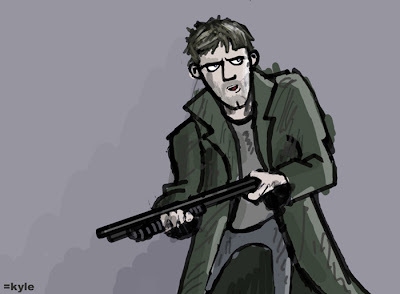 All these people try to use big technology to fight the robots when clearly all you really need is a trenchcoat and a shotgun. DUH!